Quality of life is important to all of us. Though that looks different to different people in different walks of life. For those that may struggle with a disability or a handicap, quality of life can suddenly be disrupted and things that may have once been simple are now challenging. That's where Wheelchair Ramps Memphis comes in. We are here to ensure that we can improve your quality of life to its fullest. ﻿Its easy to fall in love with the house you've lived in for a long time. Sometimes we run into situations where the stairs become our mortal enemy. Often times though after a while the house is so close to getting paid off that the solution to the stairs does not become so easy. You can't just be expected to get up and sell the house right? It may be your greatest investment at this point. Call us about our fantastic custom Stair Lifts. 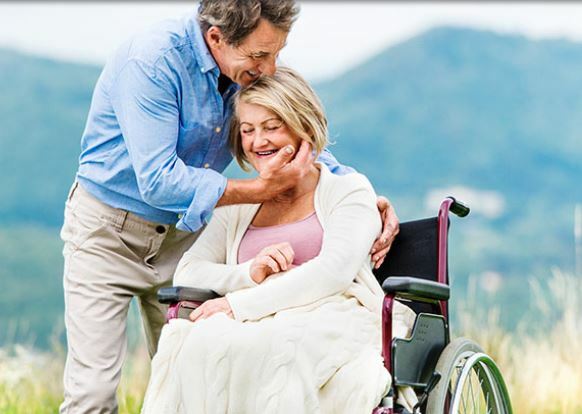 We will come find out how to best customize a stair lift for not only your home but for your particular reason for needing it, with adaptable seats and arms, and different weight capacities, we are here to improve your quality of life! ﻿​﻿We specialize in all different makes and models of Wheelchair ramps. Whether you are in need of commercial wheelchair ramps or residential wheelchair ramps, we customize everything to fit your needs including the type and material of the ramp itself. We have numerous options of wheelchair ramps to fit your exact needs. We also offer wheelchair ramp rental in all shapes and sizes. ​﻿Grab bars are an often overlooked safety feature in your home. Unfortunately so many of our installations happen as a result of a fall or a slip in a wet area. Please be proactive in this area and let us show you how easy it is for us to come install some new grab bars in the pivotal areas of your home for maximum safety. We all know certain areas of our home tend to lend themselves more likely to cause a fall, this is usually a wet area like the restroom. For just that reason we have an extensive list of grab bars that can be installed anywhere you think you may need them. We have wall mount grab bars, tun grab bars, shower grab bars, vertical grab bars, long, short, textured, different colors, and the list goes on. Let us help you or your loved one improve their safety and do it in a way that still keep the house looking great! ​﻿Not to sound like a broken record, but what this all comes down to is quality of life. We believe that everyone deserves to be able to enjoy every day of their life as much as they possibly can. We absolutely want to be able help you find the right accessibility solutions and the right accessibility products to accomplish this for you. We are here to be your partners in this stage of your life and make it as easy and enjoyable as possible. Our expert team will come visit for a consultation and will help walk you through the different options and custom products until we find exactly what will work the best for you and your home. We look forward to talking with you, please call us today! Why choose us as for your stair lift installation? This is not the kind of business that you just happen yourself in to. Maybe other companies are in this thing just to make a buck... not us. We care very deeply for the elderly as well as the disabled. We work very closely with the VA all across the country as a partner to help our boys and girls out when they come back from overseas and need the extra assistance. We support our troops both figuratively and literally! Yes... this has become a successful business model for us and we don't believe anyone in the Memphis or Shelby County area does it better or faster than we do, however, at the heart of all we love to serve and give back to the community by changing peoples livelihood and improving their quality of life. There's a lot to be said at the end of the day for us and our installers when we know we made a difference like that in the lives of our customers. We cherish that feeling and do not take it for granted. It's what started us doing this, and what's going to keep us doing this!